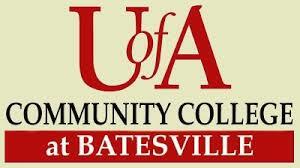 Welcome to the University of Arkansas Community College at Batesville. UACCB is a comprehensive community college committed to providing learning experiences that improve the lives of those we serve.UACCB provides affordable access to technical education and college transfer programs that meet the diverse higher education needs of the citizens of north central Arkansas. The College also promotes economic development and an enhanced quality of life for the community through adult education, developmental education, customized business and industry training, and continuing education programs.Take a class for fun, learn a new skill or take the first step in earning your degree. Whatever your personal goals, UACCB can help.